Ya, lol i didnt make the date. it will be on some property by Remington Park. Ill post more details as they come. MG club is putting it on. hit this then go to rolling thunder. Was planning on it but the Limo wouldn't start this morning. I doubt I'll have time to sort it out before Saturday. 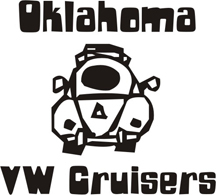 Bricktown Ihop at 8. then cruise to show up by Remington Park.